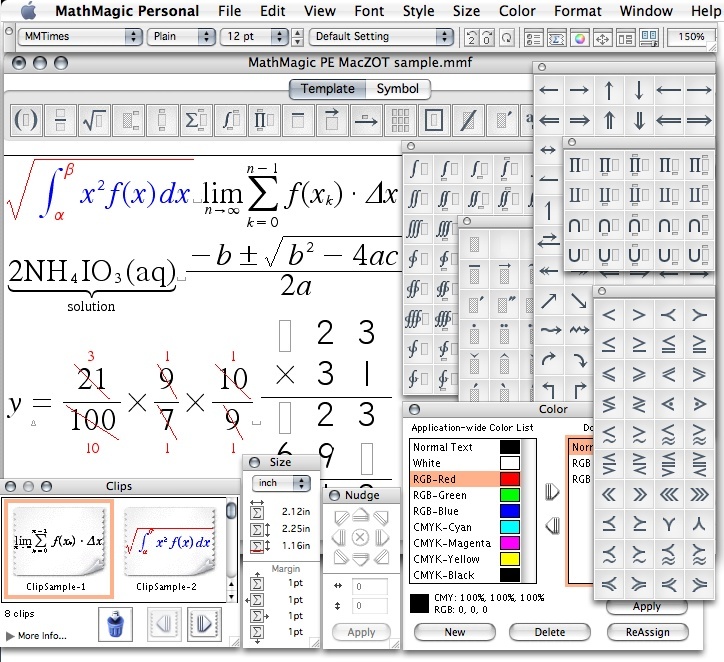 [prMac.com] Vancouver, Canada - InfoLogic is proud to announce MathMagic 5.8 Series, their award-winning professional level equation editing suite for Mac OS X. With a focus on ease-of-use, MathMagic is an equation editor for mathematical equations and symbols. Easily create any mathematical expressions with unprecedented color and style. First available on Mac as a Quark XTension, MathMagic's equation quality is unsurpassed and designed to meet stringent high-end DTP requirements. MathMagic Pro Editions allow graphic designers to write, edit and save equations directly in InDesign or QuarkXPress documents without going through a export/import step. Individual MathMagic installers for version 5.8 are immediately available for download for trial and registered users. MathMagic Personal Edition starts from $29.95 USD. Pro Editions start from $199.00 USD. Both Personal and Pro Editions are also available as one month licenses, $10.00 and $50.00 USD respectively. Full licenses include a 2-year free upgrade. All MathMagic installers come with a fully functional trial period up to 30 times.